explores the relationship between health, work, poverty, housing, class and culture. examines how resource allocation and social policies are determined by the wider social and cultural context. discusses how the health of the nation, broadly defined should best be managed. 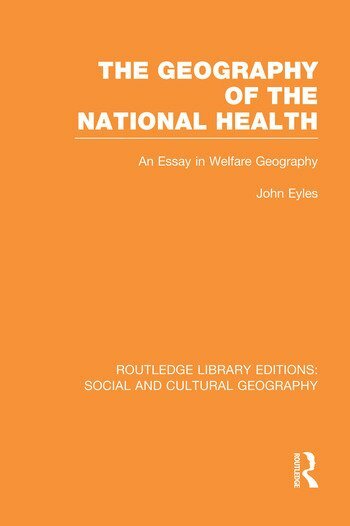 As relevant today as when it was originally published, comments on the nature of welfare geography, assesses the impact of integrated approaches on the policy process and points the way forward to geographies rather than a geography of the national health. 1. Health, care, resources 2. Allocational bases of health care 3. Health and Illness in Britain 4. Health and Deprivation 5. Resource Allocation policies: integrating principles and substantive outcomes 6. The Geography of Welfare. Bibliography. Index.